Berlin, capital of Germany and urban hub since the 13th century, has—after two world wars and a cold one—emerged as a hip, youthful, and energetic metropolis. Berlin is a city with a rich and tumultuous history. Yet it is the past century that many find the most gripping—from the chaos of World War 1 to the frenetic creativity of the Weimar Republic to the devastation from World War II and, finally, to the Cold War, which literally split the city in two. But after so many decades of destruction and despair, Berlin has been rebuilt and has evolved into the most vibrant, exciting city in Europe, known for its cutting-edge contemporary art, architecture, and nightlife. 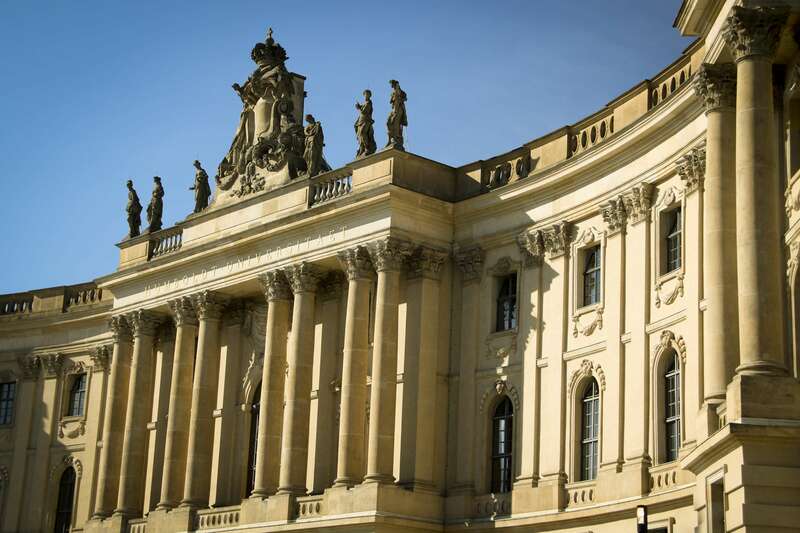 Explore Berlin's transformation with Context's private and semi-private guided tours. Context's network of scholars and experts runs the gamut of specialization, from architects to art historians to the refugees who lead our Cooking Across Borders Refugee Cooking Class. Some of the most popular private and semi-private guided tours in Berlin that our expert guides lead include our Cold War Tour, which travels back in time as we examine the historic fission that took place in the city, the cultural and political background for Berlin's split, and how it impacted its residents throughout the Cold War. We also recommend our Berlin City Tour, which digs through the many layers of history here while visiting important sites like the Brandenburg Gate, Reichstag, and Holocaust Memorial, providing a solid overview of the city, and our Berlin Architecture Tour, which examines Berlin's built environment constructed in the 20th century, from Bauhaus to Futurism. Other popular tours include our Day Trip to Dresden, a striking example of the German mentality and how the country was rebuilt after World War II, our Berlin for Kids Family Program, led by guides trained in Visual Thinking Strategies, and our Kreuzberg Tour, which tackles the immigrant history of Berlin's coolest neighborhood.